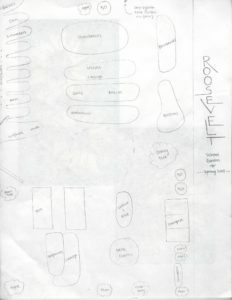 The Roosevelt garden was established in 2009 and has been steadily growing ever since with support from Common Threads. In 2017, the garden nearly doubled in size thanks to the installation of 13 new raised beds in a secondary garden space closer to the school and classrooms. The older garden is in the process of transitioning to a perennial food forest, using water wise farming strategies and sustainable farming practices! 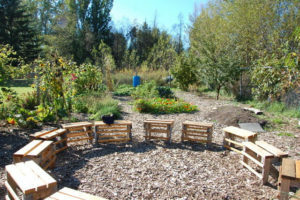 The garden is strongly tied to the community and has been greatly supported by PTA parents as well as local community members. The garden gives our kids creative and hands-on interaction with the natural world as well as providing engagement with science, math, nutrition and environmental stewardship. From our flowering fruit trees to our worm filled compost, Roosevelt’s school garden is a land of exploration and wonder for all our students! 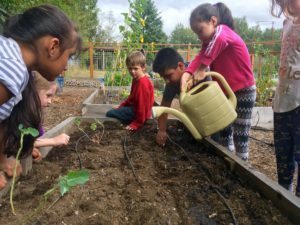 Roosevelt Elementary School garden has approximately 292 square feet of growing space. It is located at 2900 Yew Street, Bellingham WA 98226-6127. 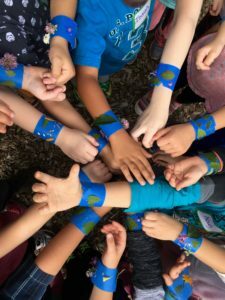 If you’re interested in getting involved, Roosevelt Elementary has a Common Threads Facebook Group you can join!